LAS CRUCES, N.M. – The New Mexico State women’s basketball team will hold a free kids clinic prior to its home game versus Missouri-Kansas City on Saturday, Feb. 7. The clinic will run from 12:30 to 1:30 p.m. inside the Pan American practice gym and is open to youths from kindergarten through the eighth grade. All clinic participants will receive free entry to Saturday’s game versus the ‘Roos which begins immediately following the clinic at 2 p.m. Parents of youth participants will receive discounted tickets into the game simply by using the code “kids clinic” at the Pan Am ticket office. Youth hoping to attend the clinic can be signed up on the women’s basketball homepage at www.nmstatesports.com by clicking on the ‘Free Kids Clinic’ tab at the top of the page and filling out and submitting the provided form. 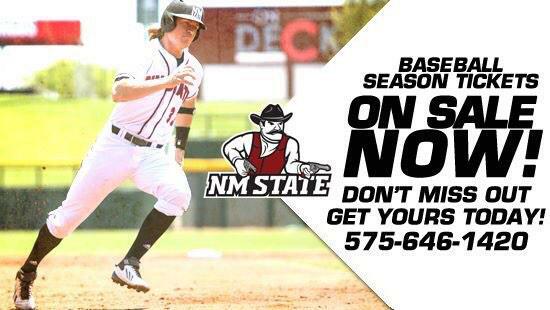 For more information please contact Jimmy Sanchez at (575) 646-8052 or jjsan@nmsu.edu.